Dear all, I’m off to the ‘Only Watch 2011’ auction event, which will take place on September 23rd in Monaco. This will be the fourth edition of the bi-yearly held event, which goal is to collect funds to finance research, organize scientific roundtables and improve the quality of life of the children, teenagers, and young adults affected by Duchenne Muscular Dystrophy (DMD). During this auction 40 exceptional watches (pieces unique) will be auctioned, and 100% of the sums collected will go to research on DMD. Click here to have a look at the watches involved, and learn more about the organization and event. So why do I leave seven days early? Well on my way to Monaco I will make a stop-over in Zürich to visit Cartier’s ‘Time Art’ exhibition in Museum Bellerive, Zürich (CH). 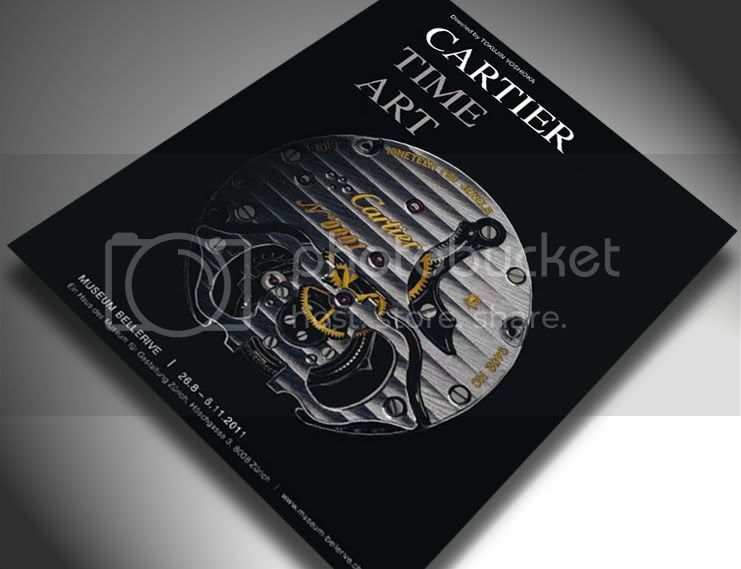 On show are 156 historical timepieces selected from the treasures of the Cartier Collection, that now exists of of total of more than 1400 pieces. As far as I know this is the first Cartier exhibition ever covering just time pieces (and no jewelery). After Zürich the exposition will be on show in Singapore and Hong Kong. This entry was posted on September 16, 2011 at 14:00 and is filed under all, front page, news. You can follow any responses to this entry through the RSS 2.0 feed.